No matter how hard suspended Chief Justice of Nigeria, Walter Onnoghen tries to repair his already damaged image, his detractors have achieved their [evil and wicked] purpose. Chief among those leading this sad cause that has soiled the hard-earned image and reputation of Onnoghen which he laboured so hard to attain over the years as a judge is President Muhammadu Buhari who led a vindictive cause by spreading fake news when he said that security agencies had since traced suspicious transactions running into MILLIONS OF DOLLARS to onnoghen's personal accounts, all undeclared or improperly declared as required by law. It was with this false excuse that he subverted the constitution to suspend Onnoghen making the judiciary, (a supposed independent arm of government) a laughing stock. 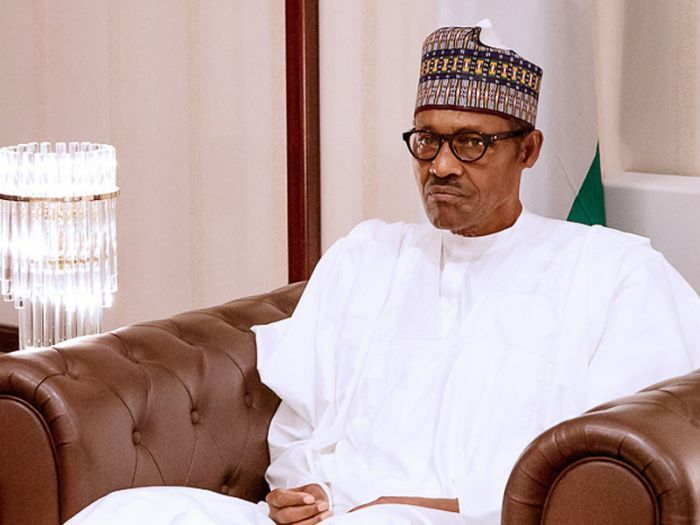 In Buhari's words: “Although the allegations in the petition are grievous enough in themselves, the security agencies have since then traced other suspicious transactions running into millions of dollars to the CJN’s personal accounts, all undeclared or improperly declared as required by law”. This intentional act, served its purpose: to paint Onnoghen as a corrupt monster and judge who make money through dubious means and handouts from court cases. The media trial sponsored by the government of Buhari and its agents of fake news reverberated in states, cities, towns and villages across the nation with many calling for Onnoghen to be thrown into prison even when the court has not stated so. For the fact that Buhari made the statement on national television, the effect of this propaganda and campaign of calumny was far-reaching against the person of Onnoghen. Nigerians now see Onnoghen as a corrupt judge who has used his position of authority to benefit his pocket. "It is no secret that this government is dissatisfied with the alarming rate in which the Supreme Court of Nigeria under the oversight of Justice Walter Onnoghen has serially set free, persons accused of the most dire acts of corruption, often on mere technicalities, and after quite a number of them have been convicted by the trial and appellate courts. Since there is nothing the Executive Arm can do after the apex court of the land has spoken on any matter, several of these individuals walk free among us today, enjoying what are clearly the proceeds of the corruption which for so long has defeated the efforts of this nation to develop and prosper." Buhari said. 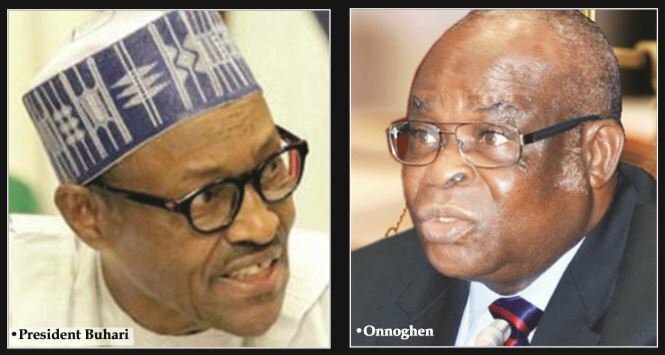 Evidence at hand shows that Buhari lied against Onnoghen. In fact, the suspended CJN according to investigation by the Code of Conduct Bureau investigators and evidence tendered by a Standard Chartered Bank staff, Ifeoma Okabue in charge of Onnoghen’s account, did not have millions of dollars as claimed by the President. Okabue said she took charge of the management of Onnghen’s accounts in 2015. Giving a breakdown of the accounts, she said the first account, with No: 5001062686 was opened in April 2010, the second: 0001062667 was opened in June 2009; the third: 0001062650 was opened in June 2009; the fourth: 5001062679 was opened in March 2010 while the fifth: 5001062693 was opened in February 2011. She gave the balance in each of the accounts to include, that the first had an opening balance of €30,178.58 in January 2018 and a balance of €10,187.18 as at December 2018. For the second account: 0001062667 the witness said the balance by January 2018 was N34, 280,904.61 while it has N2, 656,019.21 as at December 2018. The third account: 0001062650, the witness said, has, by January 2018, a balance of $80,824.25, while it reduced to $56,878 by January 2019. She said the fourth account: 5001062679 have a balance of £39,456.08 in January 2018, which reduced to £13,730.70 by December of the same year. The witness said the fifth account: 50010626 had an opening balance of N6,411,312.77k by January 2018, which increased to N12,852,580.52 by December of the same year. Unlike what was projected in the media, Onnoghen didn't operate a foreign account but operated a domiciliary account in Nigeria. In fact, the official of the Standard Chartered Bank revealed that Onnoghen borrowed $500,000 from the bank, part of the money seen in his account. Also, the claim that 55 houses were traced to Onnoghen is outright falsehood meant to ridicule the person of the suspended CJN. Evidence provided by a retired Director at the Code of Conduct Bureau, CCB, Mr Awal Yakassai, on Thursday showed that Onnoghen has only 5 houses. As we await the decision of the Code of Conduct Tribunal, it is right to conclude that even if the CCT sets Onnoghen free, the damage has been done. The government of Buhari has become notorious for using the media to damage the reputation of perceived opponents. This irresponsible act by Buhari and his cohorts spell huge disaster for the polity. Worst still, the government has shown no remorse even when it eventually turns out that they have deliberately distorted the facts for their political gains. Take the case of Senate President Bukola Saraki at the CCT. After the government used the media to damage his reputation, he won at the court but the lies by the government against his person couldn't be erased. No apology, nothing. The government officials who leveled falsehood against him went about their businesses after tarnishing his image. Should Onnoghen win, the government must show responsibility by apologising to Onnoghen for no man who has served his country illustriously would be shamed in such a way and not regret ever being born a Nigerian. The President should grow up and dust off this ethnic baggage of antagonising people who are not from his ethnic group. The pace at which Onnoghen's prosecution took place is still baffling. Don't forget that Buhari's Chief of Staff, Abba kyari has yet to answer to allegations of bribery involving MTN leveled against him. Yet after three years, the report of the probe ordered by the President is yet to be made public. Chief of Army Staff, Buratai still have allegations of corruption hovering over his head after purchasing mansions in Dubai for a whopping $1.5 million, yet Buhari keeps acting like he hasn't heard about any of these. It is a shame that at this time and age, while other countries are making advancement in science and other sphere of life, Buhari and his cohorts dedicate their time and energy looking for political victims. Shame on some sections of the Nigerian media, agents and stakeholders who have become cheap means for spreading propaganda and fake news. The Nation Newspaper played a horrible role in spreading fake news about Onnoghen which was copied by DailyPost, Sahara Reporters and others. For instance, TheNation had on January 23, 2019 made false claims about monies allegedly found in Onnoghen's account. The paper circulated a report that the Nigerian Financial Intelligence Unit (NFIU) of the Economic and Financial Crimes Commission restricted the operation of five accounts belonging to Onnoghen with about $3million. This is outright falsehood fed to millions of Nigerians by TheNation. It is high time sanity is brought back to the media in Nigeria. The era of copy-and-paste journalism is gone. Publishing defamatory contents which are not backed by evidence must be punished no matter whose ox is gored. The reality for us all is that Onnoghen will only lick his wounds and accept that Nigeria cares for no one.